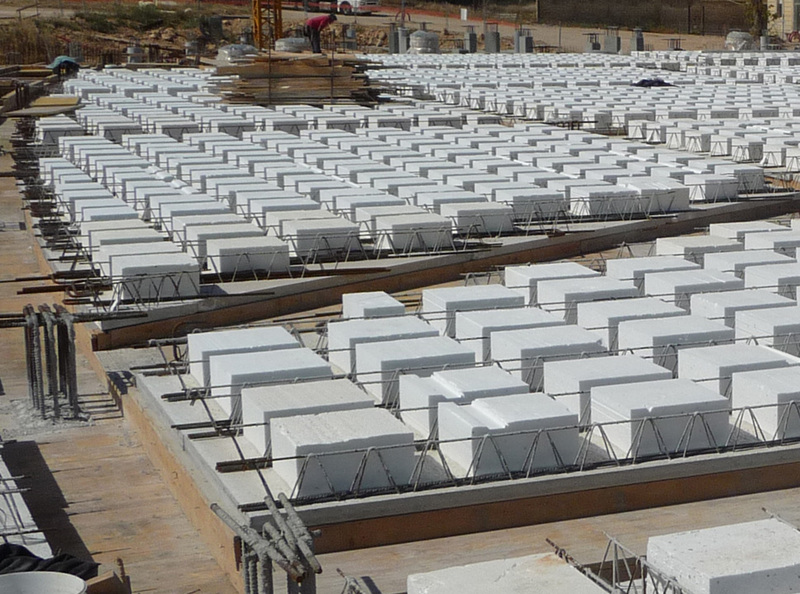 2002: Ferramati Ltd. started the production of single layered latticed reinforced concrete slabs, through an appropriate mechanized plant, on site, to provide both clients and building enterprises with a wide range of services and products. 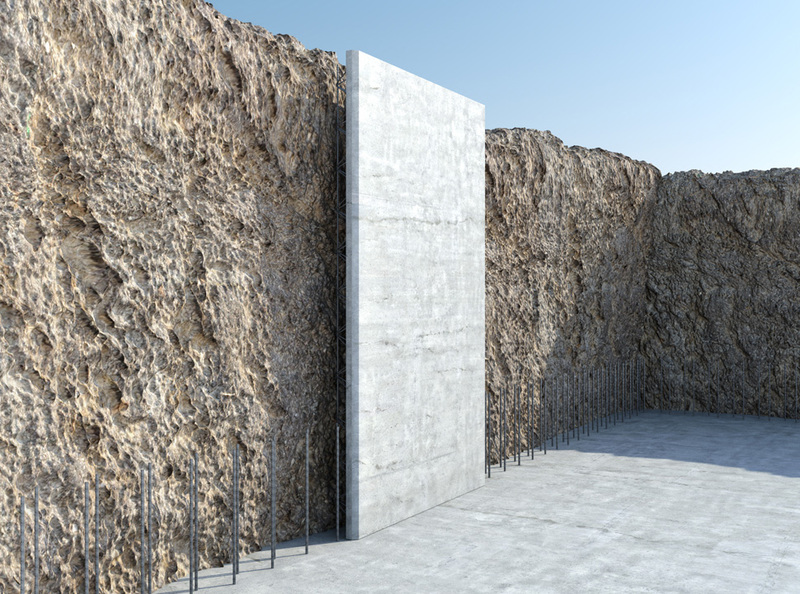 Single reinforced concrete slab consists of a concrete base with a thickness between 4 and 8 cm, 120/250 cm width, variable lenght and electrically welded lattices. 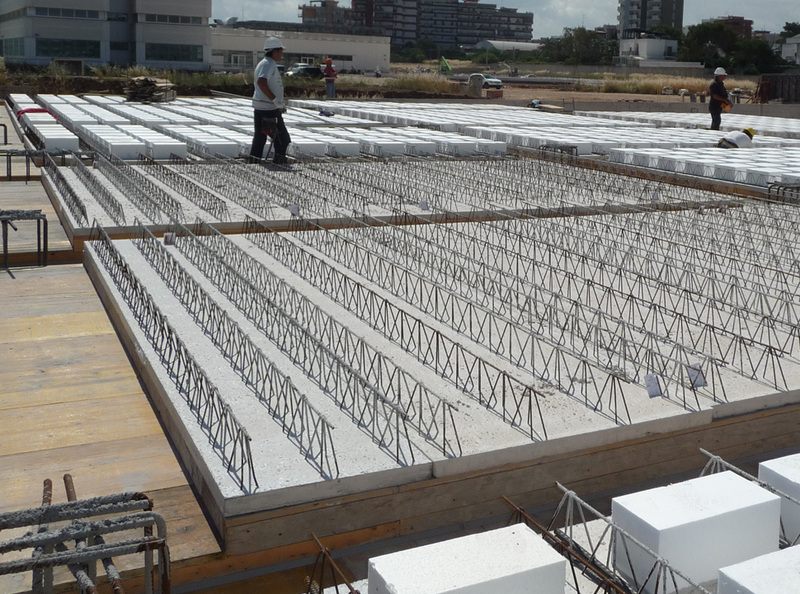 It is completed with the upper reinforcement setting and a concrete casting. 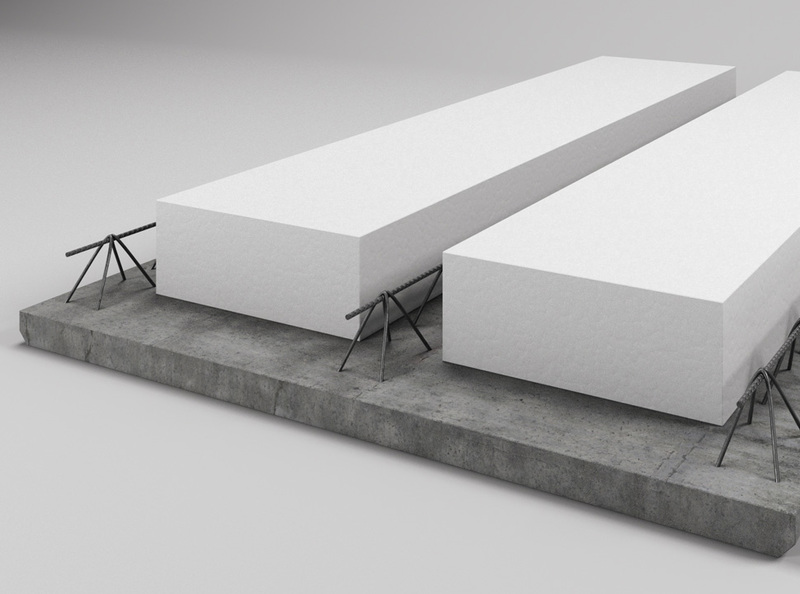 Prefab slab made with elettrically welded lattices, put in a reinforced concrete base, with a mutual distance of 60 cm, achieved through expanded polystyrene blocks (on request), allowing lightweighting. 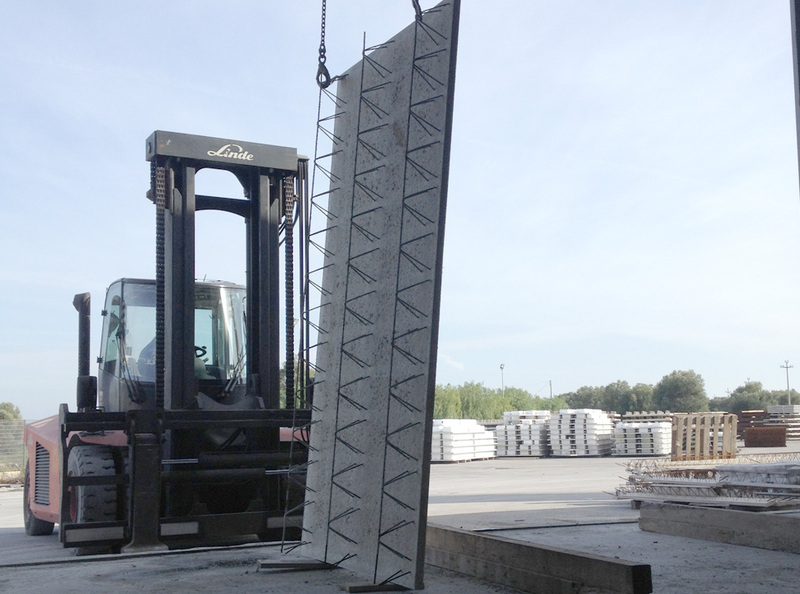 It is completed with the upper reinforcement setting, referring to the structural analysis, and a concrete casting. 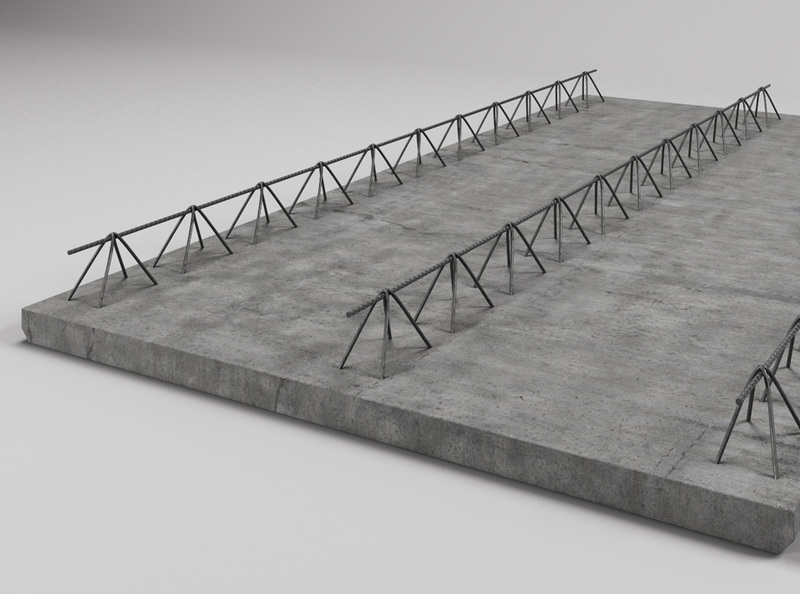 Prefab slab made with reinforced concrete base and elettrically welded lattices. 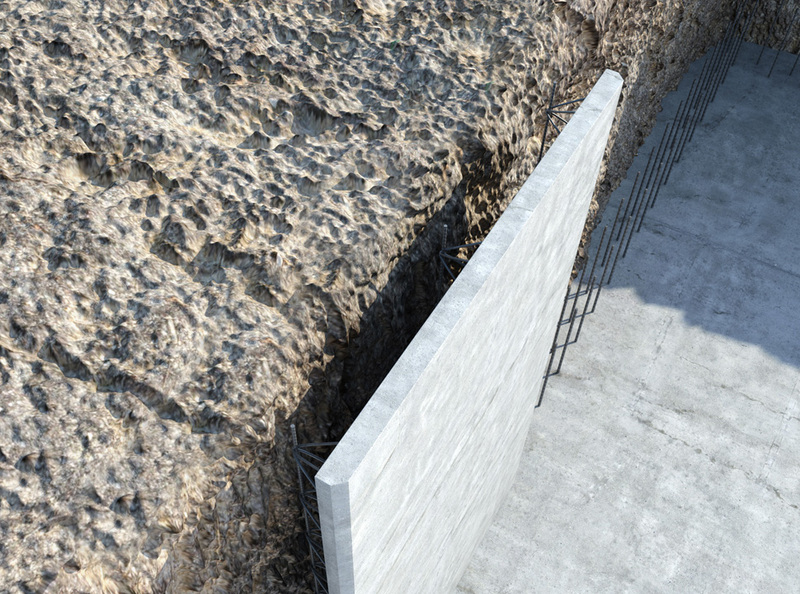 During the concrete casting step, it acts as a containment formwork becoming a solid wall towards rocks.